Sunbury, Pennsylvania is one of the latest municipalities to hold landlords accountable for policing crime in rental properties. The new measure will give the city the right to demand that landlords evict problem tenants–or face fines themselves. The city also wants the right to take control of rental units where tenants have been arrested, and to take away the landlord’s license until the problem is solved. The strategy is based on one adopted by neighboring Berwick, which passed a comprehensive rental law that requires landlords living more than 15 miles away to hire a manager, and holds landlords accountable if their tenants disturb others or get arrested. According to a news report, Berwick’s city manager met with the Sunbury council last week, encouraging members to stick to their guns when it comes to pressuring landlords to police disruptive tenants. This measure comes after a major drug bust in the area revealed that several Sunbury residents who had been arrested previously were back–renting again, and committing the same crimes. Sunbury officials wanted to post signs in the yards of rental properties where tenants had been arrested, according to the report. Sunbury is unique in that the majority of its properties are rentals. But it is similar to local governments across the country which are experiencing budget constraints that in turn trigger personnel shortages and force local officials to get creative when it comes to law enforcement. However, landlords are not going along quietly. Berwick is embroiled in litigation over their rules, which require landlords to report back to officials describing what action they’ve taken to deal with problem tenants in order to have their rental licenses reinstated. One of the best ways to avoid the controversy and resulting fines is to avoid tenants who have a criminal history. 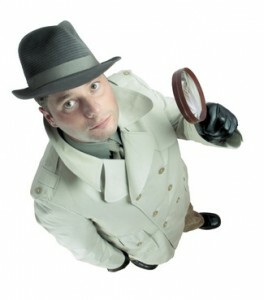 A simple criminal background check can flag a problem tenant before they have a chance to move in. While you may detect signs that a prospective tenant has a criminal history, the best way to know for sure is to run a criminal check on every applicant under serious consideration. That way, if your actions are ever called into question, you can prove you did everything you could to avoid a bad tenant. It also is important for landlords, especially those facing new rules like the ones in Sunbury or Berwick, to provide for the right to immediately evict problem tenants in their lease agreements. I cannot believe what I just read! This is the 3rd version of a similar story I read on here in the past few months. Am I the only one that thinks this is ridiculous? How can a landlord be accountable for the actions of their tenants. Are car dealers held accountable when they sell a car to a repeat DUI offender?? The government protects these bad tenants to extremes, making the eviction process for the landlord extremely difficult, but now they want you to evict these people or else! Previous post: Is “Worst Landlords” Watch List Program a Success?